Instagram Goes 2.0, Gets Live Filters, Instant Tilt-Shift, Hi-Res Photos & More! This has got to be one of the best app updates this week. 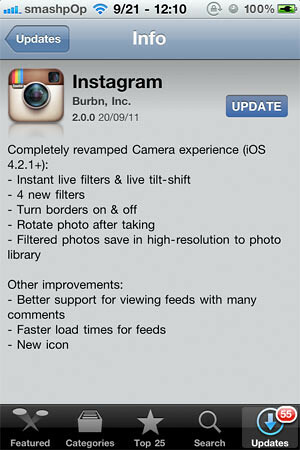 Instagram, the most popular photo sharing app on the iPhone has just received a big upgrade to version 2.0. See the world through Instagram’s stunning effects before you even snap a photo. 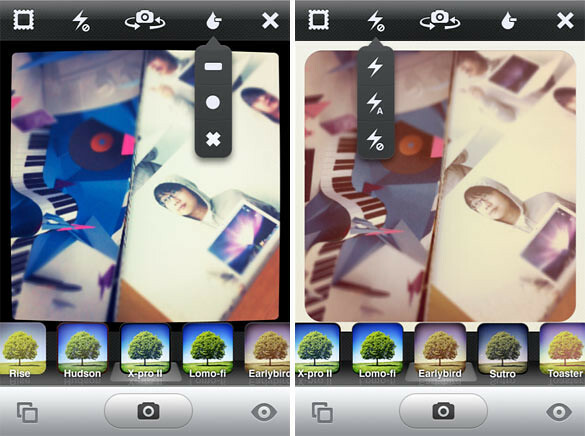 Simply select a filter, hold the camera up to the scene and see the world through Instagram’s visual effects. We’ve re-written your favorite Instagram filters to be over 200x faster so even after having taken a photo, switching between them takes no time at all. Get an in-depth look at the new camera UI. Selective blur over 100X faster than before. Pinch, pan and rotate tilt-shift to give your photos unparalleled depth of field with live preview included. Learn more about live tilt shift. Clarity and detail with every shot. By far, the most requested feature from both pros and amateurs alike, we’ve increased our photo size from 612×612 to 1936×1936 on the iPhone 4 (1536×1536 on the iPhone3GS). You’ll capture beautiful moments in all their detailed glory. Read more about high-resolution Instagram photos. See how life filters work? You can preview the effects even before you take the photo. Tilt shift can be enabled from the top menu as well. The first button turns border on/off. Second for flash, third to change camera, fourth for tiltshift and fifth to cancel. 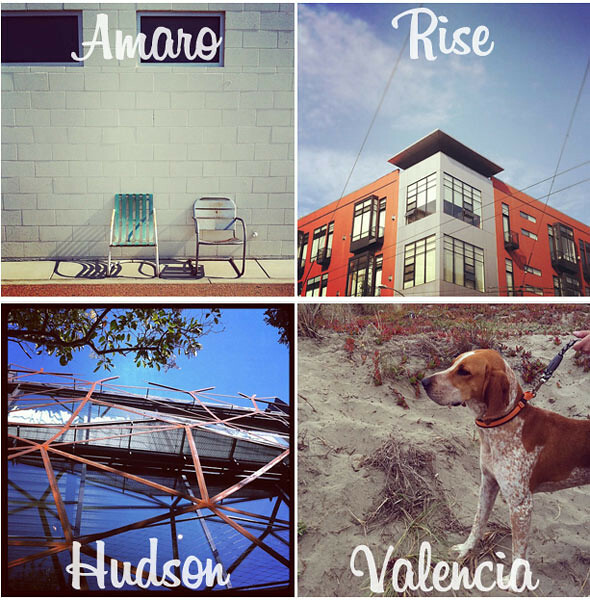 The 4 new filters added are Amano, Rise, Hudson and Valencia. Get Instagram from the AppStore for free now! One Response to "Instagram Goes 2.0, Gets Live Filters, Instant Tilt-Shift, Hi-Res Photos & More!"